Not only can you view live information, but all of the data from the stations are kept in perpetuity. Click on the data mining link in the upper right hand corner of any WeatherSTEM page to select different variable to analyze. Georgia Tech has three sky cameras that record an image each minute and provide users with three views of the skies and clouds. Each night, the system automatically aggregates these images into a daily time lapse video of the day's skies. 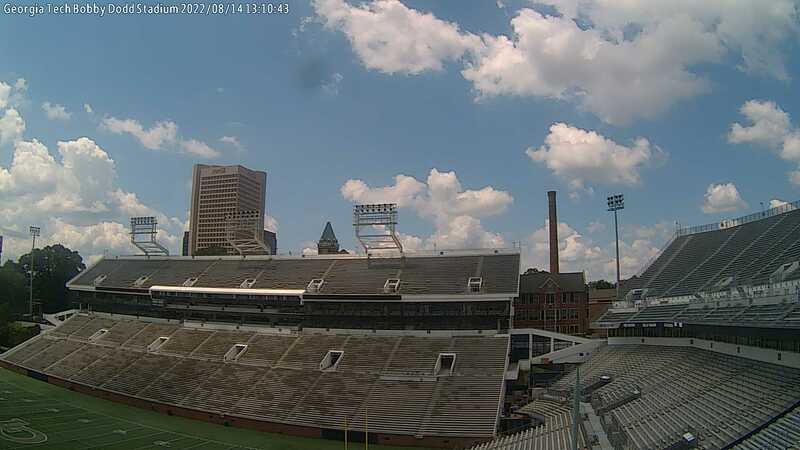 All three cameras are located at Bobby Dodd Stadium and point East, South and West.